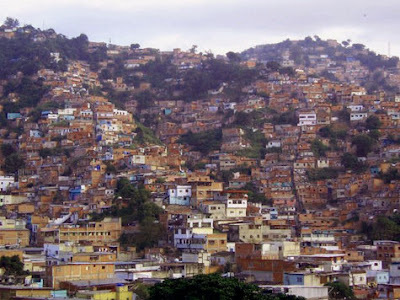 Velezita: Prime Real Estate in The Caracas Area? The first time I ever went to Caracas my plane arrived after dark. As we rode from the airport right at the beach (therefore at sea level) up to the valley of Caracas the mountainsides shimmered with lights. I imagined the glory that must be the homes residing on that prime real estate. Wow... there must be so much weatlh in the oil-rich country of Venezuela. We arrived in Caracas that night and ate al fresco at a romantic restaurant. We stayed a very hice hotel. For a few days I went to places around Caracas. The largest mall in South America, many nice restaurants, etc. When it was time to leave the ride back to the airport happened in the light of day. Prime real estate, indeed!